Edited to add: This giveaway is over. Congratulations to Karin Moughler! My girls have wanted to do a fun color 5K event for the longest time so we are super excited about next month’s Color Vibe™ event to be held at Opry Mills. We’re a pretty colorful family AND we love getting outdoors and trying new activities, so participating in our very first family 5K will be the perfect family outing! I’ve been trying lots of new things in my 40s (from my first helicopter ride to paddle boarding), so this will be another bucket list item checked off the list! For the second year in a row, Tum-E Yummies is excited to partner with the Color Vibe™ race for the ultimate colorful family fitness experience! 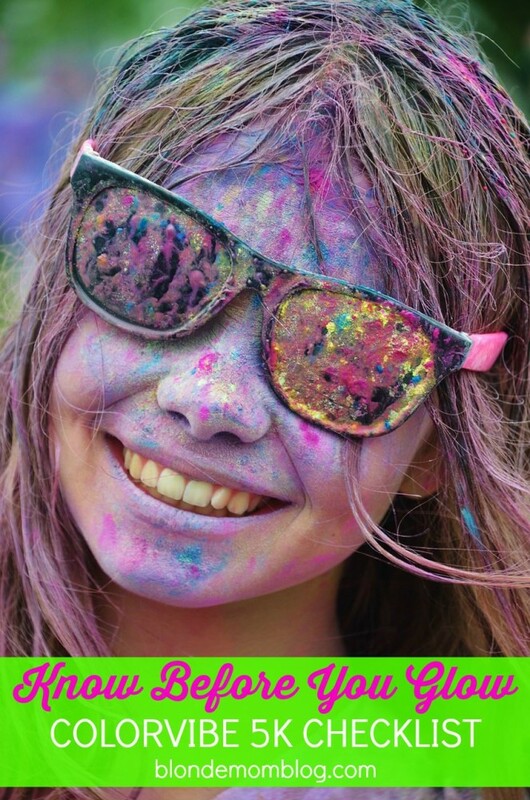 Color Vibe is a color blast 5K run/walk that is fun for the whole family. We’re looking forward to getting covered from head to toe with splashes of color that are as colorful as Tum-E Yummies fruit flavored drinks. We’re prepping for the September 13 5K by putting together our own unique Color Your World kit. We decided to go with a neon eighties theme since my husband and I are children of the 80s and all of the neon seems to go well with a colorful fitness event! We’ll have a few surprises up our sleeves for the big race day, but here is a sneak peek at our kit. It’s giving off a Cyndi Lauper vibe, I think. Just a quick fact, the color used at Color Vibe™ races is 100% safe, edible, biodegradable, not to mention bold and beautiful. The color packets are D&C approved and non-toxic! Can kids join the race? YES! And kids 12 and under are FREE making this the perfect family event! Any other questions you may have about this year’s event can be found on the official FAQ. Start stretching. Get prepped a few weeks in advance by walking and/or running and make sure you stretch properly before training and before the big day. Arrive early. Get there at least an hour before the start of the event. Fuel up. A small and simple breakfast a few hours before the race will allow you to sufficiently digest your food, but still have enough energy for the event. If you tend to get hungry, bring something in the car to munch on, such as a banana or raisins/trail mix. In fact, making a ColorVibe trail mix with your kids would be a fun pre-race activity! Wear white. Wear a white t-shirt or tank top and be prepared to get colorful! A white bandana is also fun and can protect your hair, although getting colorful is part of e fun! Prepare your vehicle. Unless you want a neon car interior, bring wet wipes, plus a large towel to lay on the seat for the ride home. 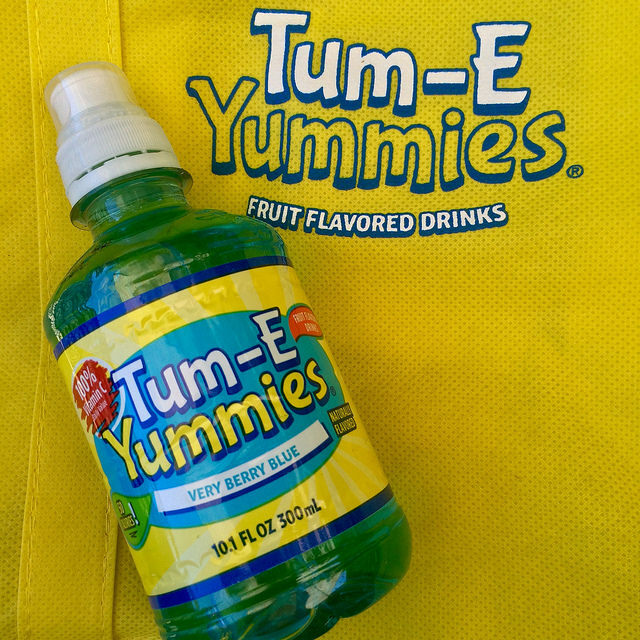 The Tum-E-Yummies crew will be handing out branded plastic seat covers after the race to help protect your car’s interior! Protect your tech. Don’t risk ruining your phone or camera on the course; keep them in a plastic bag and take pics before and after the run. Protect yourself from the sun. Don’t forget sunglasses (you may want to pick up a cheap pair at a discount store as this is not the time to wear your $100 shades) and sunscreen. Sunglasses will also help protect your eyes from the fun color. Bring extra shoes. You won’t want to wear your running shoes home! Bring a pair of flip flops to slip on after the 5K and a plastic bag for your running shoes. Safety pins. You’ll need pins for your race number. Hydrate. Hydration is key and mid-September can still be very hot and humid. Be sure to bring extra water for the car ride home. 2) Upload a picture of your running shoes to Instagram and tag my account @blondemomblog. Use the hashtags #TumEYummies and #Nashville in your Insta post and let me know why you want to win the passes! Giveaway ends Tuesday, September 1 at midnight CST. Tum-E Yummies will send an electronic ticket voucher to the winner! Good luck and get your running shoes ready. FTC Disclosure: This post is sponsored by Tum-E Yummies. 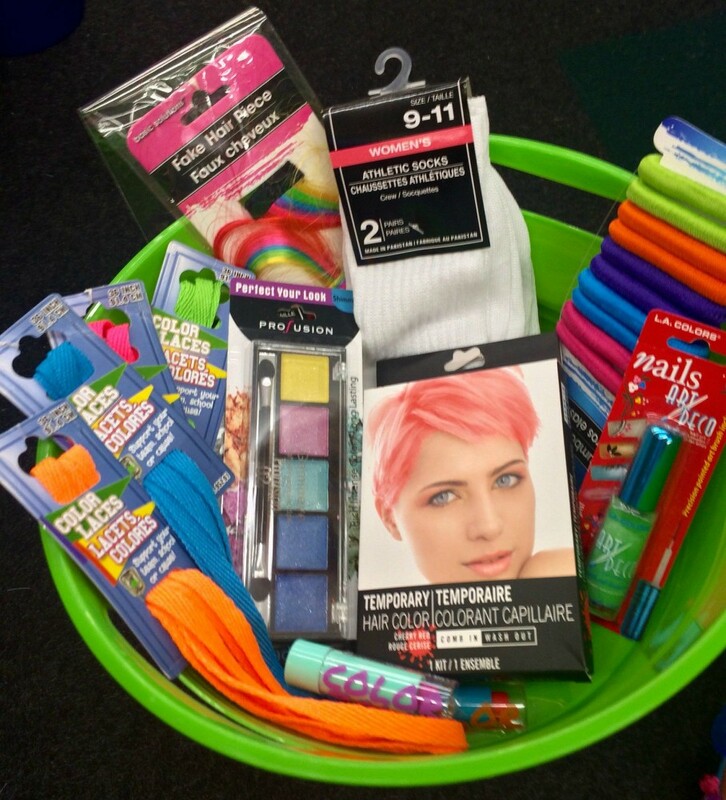 This entry was posted in Nashville, Reviews & Giveaways and tagged 5K, Color Vibe, Nashville. Tagged you with my running shoes on Instagram. Tweeted “I want to win passes to the 9/13 #Nashville #TumEYummies Color Vibe via @BlondeMomBlog http://blondemomblog.com/?p=24663&#8221;. And I already follow you on Imstagram – that’s where I read about the Color Vibe 5k. It looks like great fun!